Pilu is a very pleasant raga, which is mix of various emotions, hope, joy and heartbreak. The reason it is usually associated with romance is that there is large body of work in Pilu on romantic themes. These include several semi classical pieces dealing with romantic topics, and the melody itself has a tone which almost represents lover’s arguments : cajoling, reproachful, sad, ecstatic at the same time. Again, avoiding technicals of Pilu, there is much to learn in how maestros past and present have dealt with this raga. 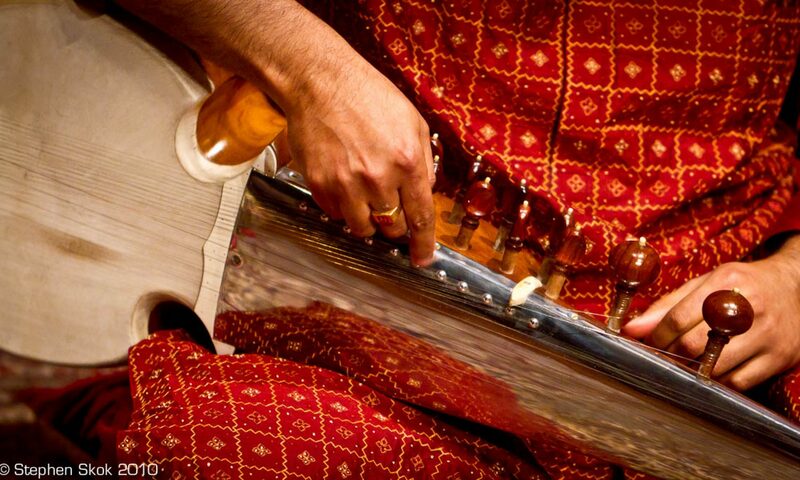 On the sitar, it’s hard to improve on the rendition by Ustad Shahid Parvez. There is particular recording of him (again, not available anymore) where he plays Pilu with many of the best musicians in India listening to him, including Rashid Khan, Shujaat Khan etc. He really paints a wonderful and delicate Pilu – brings together a beautiful bouquet of emotions in his masterful performance. Emotion is key in Pilu. This is not a technical raga where you show your prowess. The mastery is in evoking the contrasting emotions of hope and sadness, so calls for very delicate work.